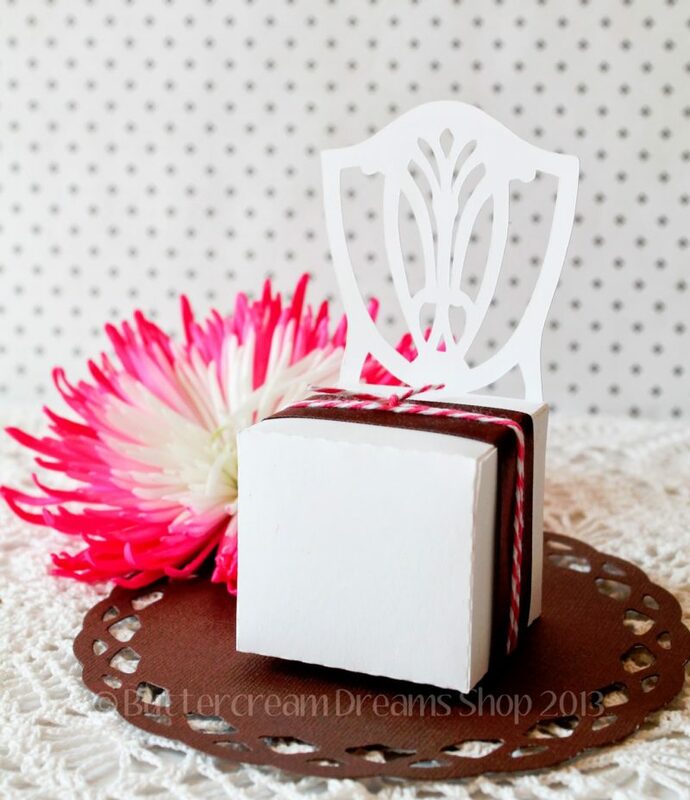 Today’s Guest Post comes to you from Buttercream Dream Shop who makes the most adorable and unique chair favor boxes. Jaedyn writes: “Some of my earliest memories are of baking with my mom or with my Grandma. Both baked everything from scratch. Bread, cake, cookies, squares, all came out of our oven on a regular basis! How I LOVED baking days (I would fight for the bread crusts or bites of cookie dough, and getting to lick the cake batter spoon was a HUGE treat!). Now that I’m grown, married & have 2 little ones of my own, I still love to bake – and I love to bake with my girls. I don’t make everything from scratch, haven’t attempted bread, and have more *visual* flops than successes! That’s okay. I really just enjoy the process (not so much the mess). One thing that has not changed since I was little, is my absolute LOVE of cupcakes!! Getting a cupcake when I was a girl was so fun & exciting – and 20+ years later, I still feel that way, lol! 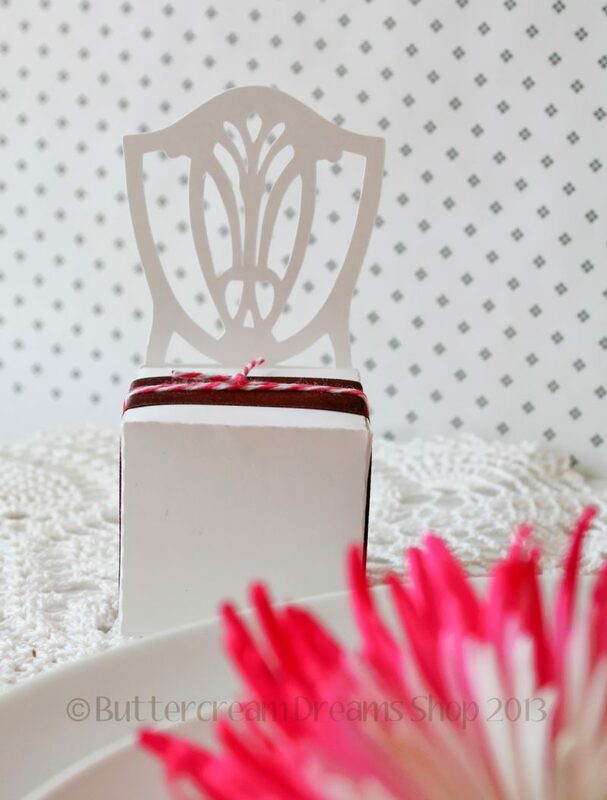 These sweet little chair favor boxes are the perfect size for just a little treat. They will look wonderful on your decorated tables at your wedding. Dress them up with a ribbon & bow, or a paper “sash”. They can even serve double duty by using them to place name cards on your reception tables! These are designed & cut by me, with every attention given to detail. Every box that gets cut gets inspected for quality, so you can be assured that they will look perfect for your event! 10 favor boxes per package.